We would like to begin by Praising the Almighty and paying tribute to our elders for their vision and guidance, which has helped us move so close to our goal today. Their legacy is clear, what will be yours? Build your palace in Jannah today, Insha’Allah. WLIC has launched it’s £1000 Mussalah Appeal, this is a unique opportunity. There will be capacity for 3000 people to pray in the new Masjid, secure one of the absolute forms of Sadaqah Jariya (Recurring Charity) and become the beneficiary of every prostration and Du’a made by those who pray on this sacred ground, Insha’Allah. The complete construction cost of the new building and facilities is £8.3 million. When the works began in August 2017, we had raised £3 million. To return to the site with a temporary Masjid we urgently need to raise £1.7 million and to finish a further £3.6 million. 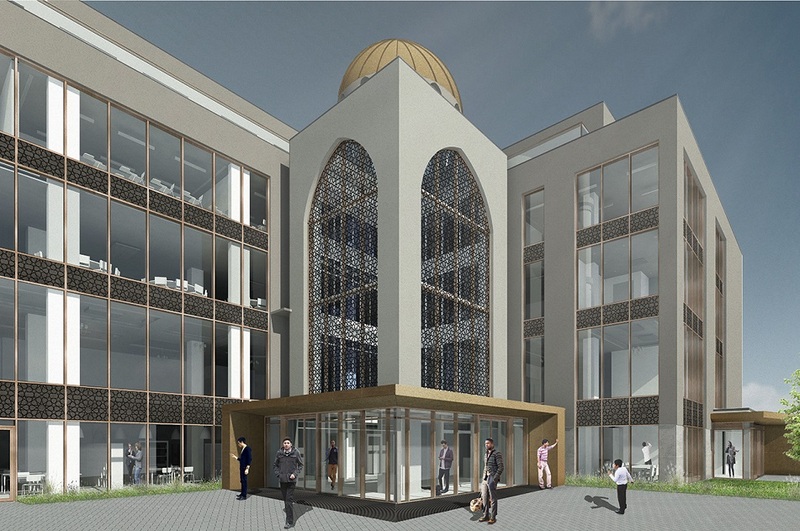 The new centre will include a café, bookshop, fitness centre, banqueting facilities, library, crèche, funeral service, community clinic and extensive educational provisions. Pledge £1000 for a Mussalah space today, whether on behalf of yourself, family members or those who have passed away. 3000 shares will give us £3M towards our target. To donate please visit the site office, call 020 8840 4140 to donate by card or here online. Please register or if donating online make reference to the name of the person you are donating on behalf of.